indaHash, a pioneer in the influencer marketing industry, wants to revolutionize the influencer marketing industry with its indaHash Coin’s ICO. indaHash is an award-winning automated online platform with Irish origin launched at the beginning of 2016. The platform allows influencers to monetize their reach on social media accounts such as Facebook, Instagram and Snapchat, and already connects over 300,000 influencers from 70 world markets with global brands, such as Coca-Cola, McDonald’s, L’Oreal, P&G, and Adidas. Influencer marketing is a modern trend in digital marketing industry. According to the recent studies in the sphere, the effect of influencer marketing in affecting people’s purchasing decisions is striking. Today, people would rather believe influencer’s personal view than a traditional advertisement. 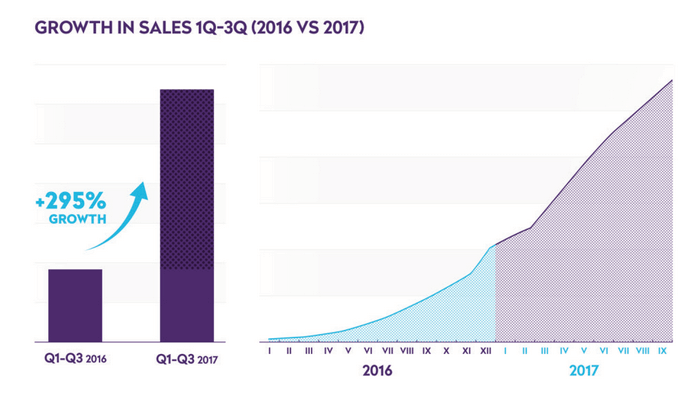 More and more brands tend to attract influencers to promote their products, more and more influencers appear on the marked. 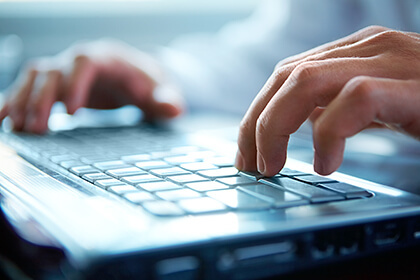 The market is growing and gaining traction which can’t stay unnoticed. 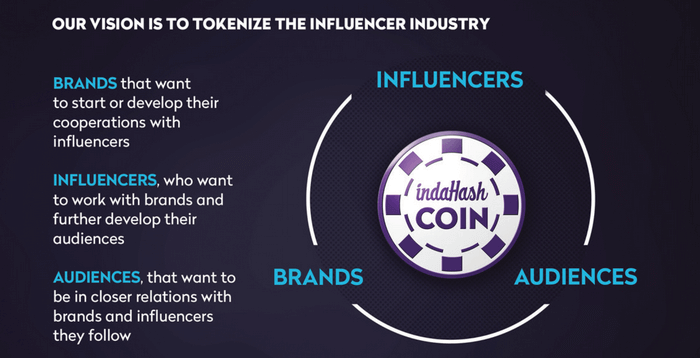 Being a pioneer in the influencer marketing industry, indaHash is now going to prove its leadership in the sphere and revolutionize the existing system by launching its own indaHash Coins. The new currency represents a decentralized Ethereum-based payment structure which can be easily used by influencers their audiences as well as brands. Tokenizing the influencer marketing industry opens a lot of new opportunities. Brands can now easier start or develop their collaboration with influencers and expand the audience reach, influencers can improve their partnership with global brands and gain new followers, while audiences can now stay closer to both influencers and brands they are interested in. 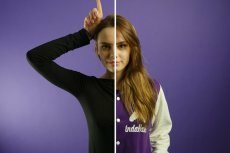 What is more, indaHash also offers its users a unique “Pay-with-Fame” feature which enables influencers to design their own personalized cryptocurrencies. Using the option, influencers can improve their relationship with followers by rewarding audiences with personal-made tokens. Audiences in their turn can collect or exchange the earned tokens on special actions proposed by the influencer, such as customized and personalized prizes from the influencer, signed gadgets, mutual selfies posted on social profile or face to face meetings. Pre-ICO token distribution starts on November 8, 2017. There also will be a one-week bonus period where a pre-ICO participants will receive a 40% bonus on their contributions. The main ICO will begin on November 29, 2017 and last until December 20, 2017. 320 million IDH, or 80% of all coins (400 million IDH), will be available during the pre-ICO and the ICO with registered users given the exclusive ability to participate in the token sale. An 18% maximum of the total supply of indaHash Coins will be used to engage and educate both new and existing influencers.